Aramark is an in-house caterer situated at the Kansas City Convention Center, where, the grandest and most stylish weddings are held. Aramark hires only highly trained chefs and staffs for an exemplary performance in full-service catering and dining experience at the metro. 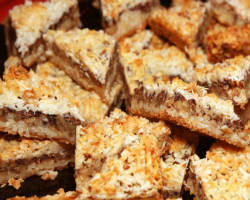 The group is known as one of the premier Kansas City catering service, today. Inside its menu, find a world class food opportunity to flatter your taste buds. 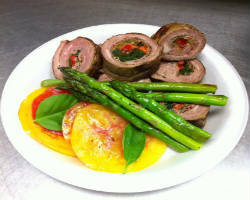 Aramark is irreplaceable among local caterers. The best in-house concessionaire, Aramark provides pleasure and delight in multitudes. Classic meets modern, the Kansas City Convention Center is proud to present to guests, Aramark Caterer, a one-stop class in dining, today. Hilton Garden Inn bears a big 20,000 sq. ft. of meeting and banquet venue to host weddings and other special events. There is a wonderful conference planning and catering services for guests that allows usage of state-of-the-art A/V equipment rental and complimentary business center. Dine in sophistication and class facilities, any party would be a grand one, only at Hilton Garden Inn. 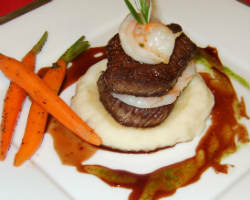 At the menu, take pleasure in luxurious and flawless in-house full-service catering, vowed to “wow” guests, of all times. Plan your rehearsal dinners, weddings ceremonies, receptions and honeymoon stays. Organize your wedding now and receive tons of gifts by Hilton Garden Inn. Shining Stars Catering is owned by Executive Chef Deborah Williams. It has been running steadily for 7 years now. Just recently the restaurant has bagged the Wedding Wire Couple’s Choice Award in 2014. Further adding to its success is the adaptation of green practices in its ways. 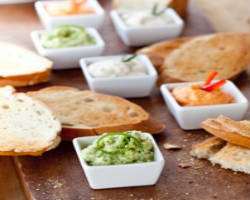 Where, events, even weddings, can choose to use ECO biodegradable products and use real plating. In Kansas, Shining Stars Catering is very famous for whipping up good food service using natural and extraordinary ingredients sold at the market. Get inspirations from their team of experts and received one-of-a-kind advices for your wedding. At Shining Stars Catering, saying “I Do” can also be delicious! Owned by Roxanne Strub, Above & Beyond Catering is able to cook food from scratch. Menu ranges from varied blend in sauces, stocks and bread types, which are added only with fresh and in-house ingredients. 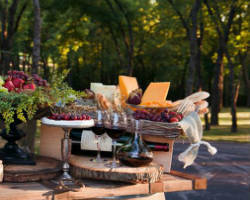 Above & Beyond Catering creates food with craft and passion you won’t find in other wedding catering companies at Kansas. Guests would die for a taste of their list on appetizers, elegant buffet, salad/sides, pasta bar, chef stations and cake designs. Above & Beyond Catering and weddings unite together for an extraordinary evening of beautiful foods. Visit the team now and receives surprises just for you! For more than 20 years now, Affordable Catering has been in the business happily serving specially hosted events at the city. 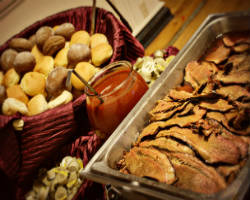 Splurge in wedding celebrations, birthday parties, corporate bashes, bridal showers and social gatherings with the finest catering in Kansas City, KS. Choose from cheap low fire deals in foods, today. Other features to add chair, table rentals, bands, DJ, florist, photographers and bartending services. Eat in style and complete a very chic wedding celebration with Affordable Catering’s dining amenity, drop by the store today! You can even create your own stylish menu just for your party. Isn’t it amazing? Doug and Mary Partridge opened Classic Catering Corporation 22 years in the past and since then there was undying demand for the food they serve. 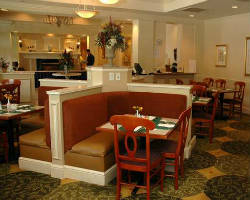 At the restaurant, find a very nice set of culinary experts, willing to assist you in your every dining need. From decorations up to the last ribbons added at the reception, weddings are arranged with the most beautiful adornments by local caterers in the state of Kansas. Choose from gourmet meals for breakfast, lunch and hors d’oeuvres, oriental food at its finest is seen at the buffet tables of Classic Catering Corporation, the top catering in Kansas City, KS. Kansas City Catering has served the most beautiful weddings held for more than 30 years now in the metro. Where, 1000+ brides and grooms have shared an upper Class dining experience for their special day. Upon entering the doors of the restaurant, a wedding specialist will talk with you on matters pertaining to the best wedding celebration. The wedding service will also cover the photographer, bar tending service, decorations, music options and venue selection. Action stations provide the most differed food options in guests. 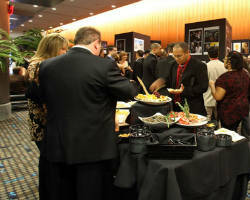 No doubt about it Kansas City Catering is the town’s choice among catering companies in Kansas City. Find affordable deals at this wonderful restaurant and please hearts today! For 10 years, Olive Events has created magical touches on dining experiences of local patrons at the state of Kansas. It specializes on American food, excellence in service and new fangled party ideas for lasting memories to come. Find the rarest foods at the dining table and bugget stands, Olive Events can whip up delightful delicacies in the most creative way. Have your crawfish upside down, sipped cold beverages that is spicy or simply enjoy an outdoor event. Wouldn’t those be wonderful? Among wedding catering companies in Kansas City, Olive Events takes responsibility in offering an array of culinary options for the perfect wedding menu. Start the search now and drop by at this adoring restaurant for a food adventure at weddings! At Jack Stack Catering, you can enjoy outdoor parties with its Mobile Kitchen and Hickory Pit Smoker for hot off-the-grill meals and smoked lunches. The restaurant only serves affordable menu items fit to anyone’s budget. Weddings are also provided with the best ranges of buffet table at this wonderful restaurant. 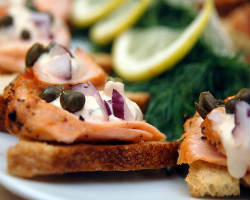 See the finest Catering Event Planning Specialist at work from the top Kansas City catering service, for the classic choices in fine dining experience. Make an impressive food presentation and serve with a variety of options they would forever remember. Grab a free quote now at Jack Stack Catering services!